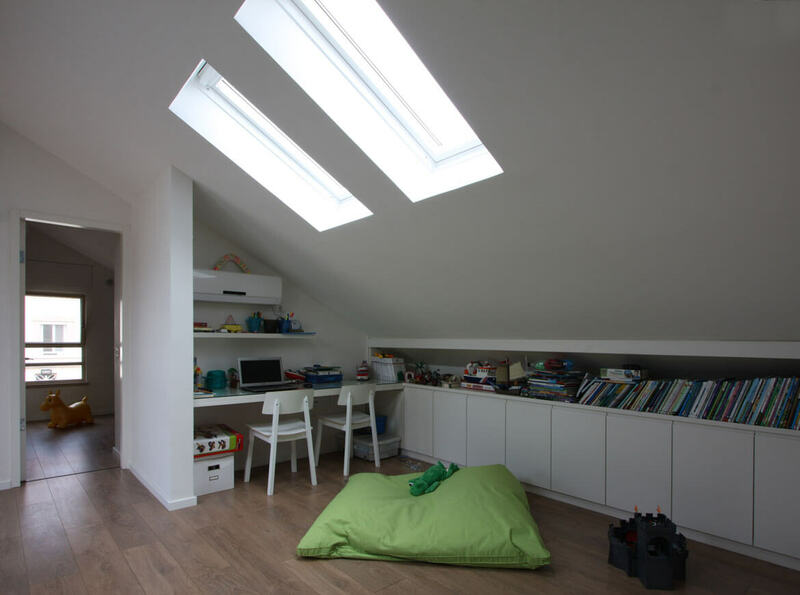 YIO Attic was planned as a kingdom of three boys: three young brothers 4-10 years old. 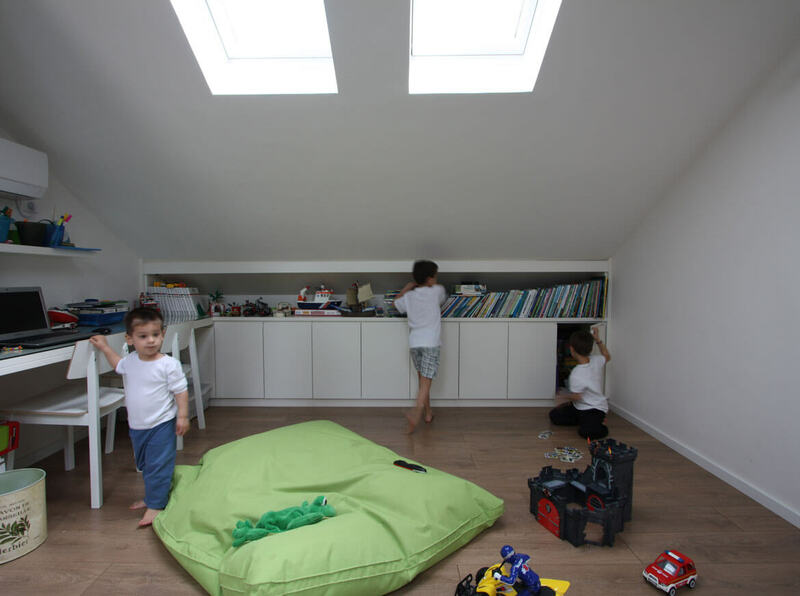 The space of the existing attic was originally prepared yet closed off when the house was built, as it was designated to be opened and renovated when the boys would be old enough to use and enjoy it. 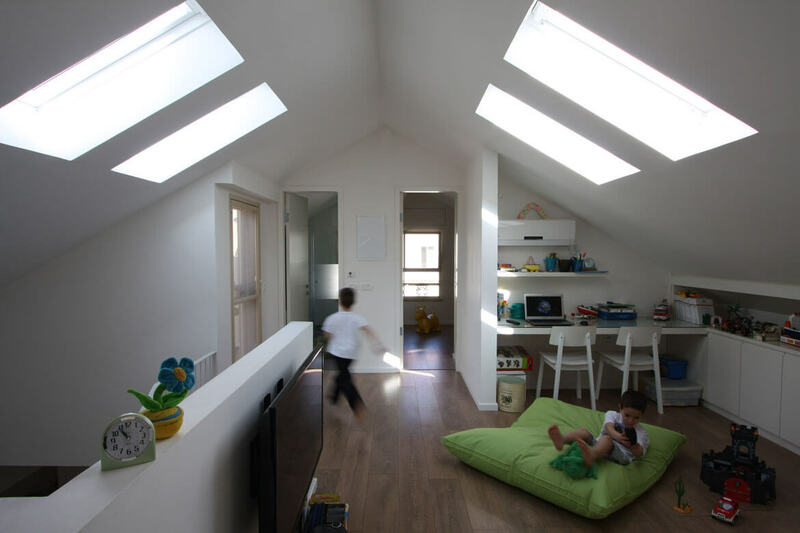 Their parents asked for three bedrooms, a common living\studying area and a bathroom. 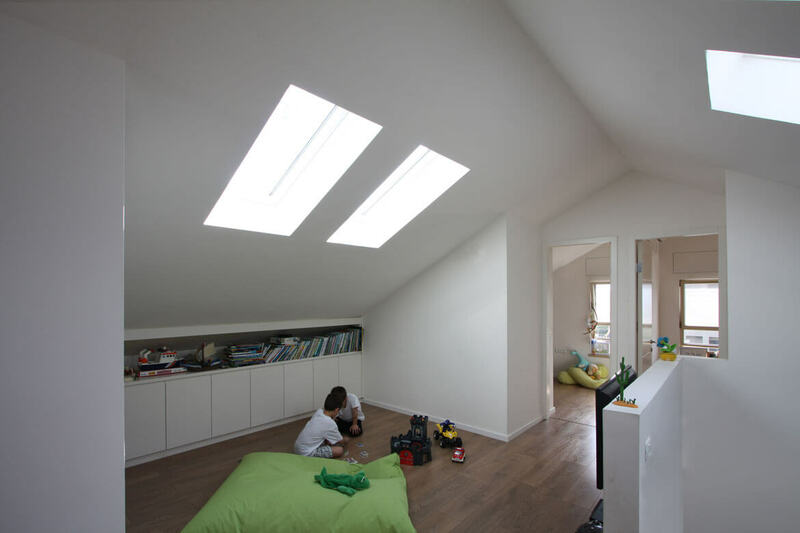 Considering the existing sloping roof and triangular geometry of the volume a particular attention was given to organization according to program, in order to create the most spacious interior possible, and make the most of the existing contour. 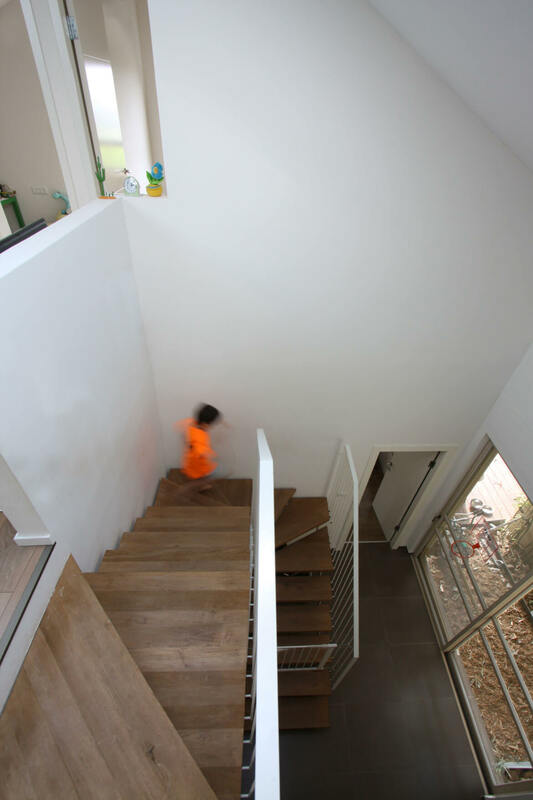 Custom carpentry elements were designed to utilize the areas of minimal height (<180) for storage, while leaving the highest areas free for fun and games: running, playing, sitting, standing, and of course - jumping! 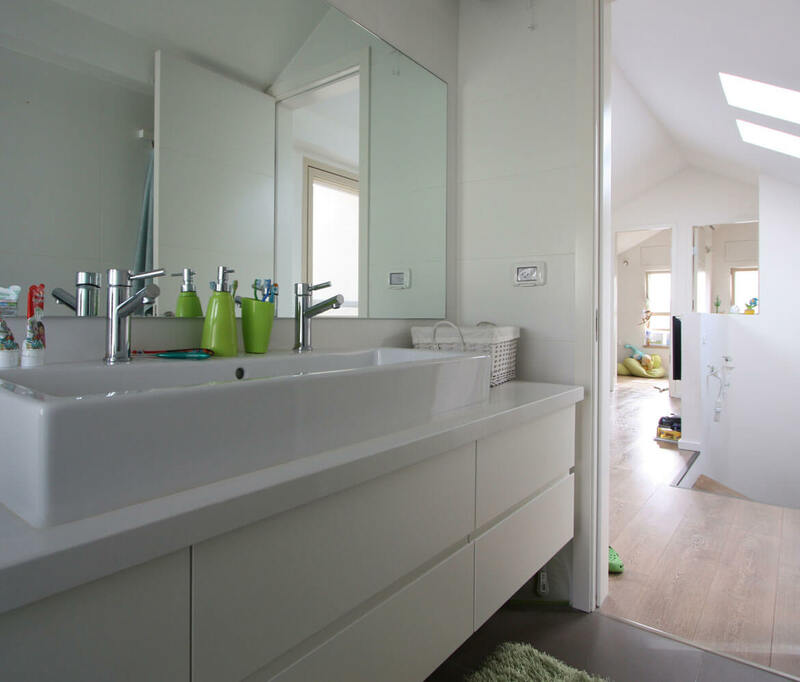 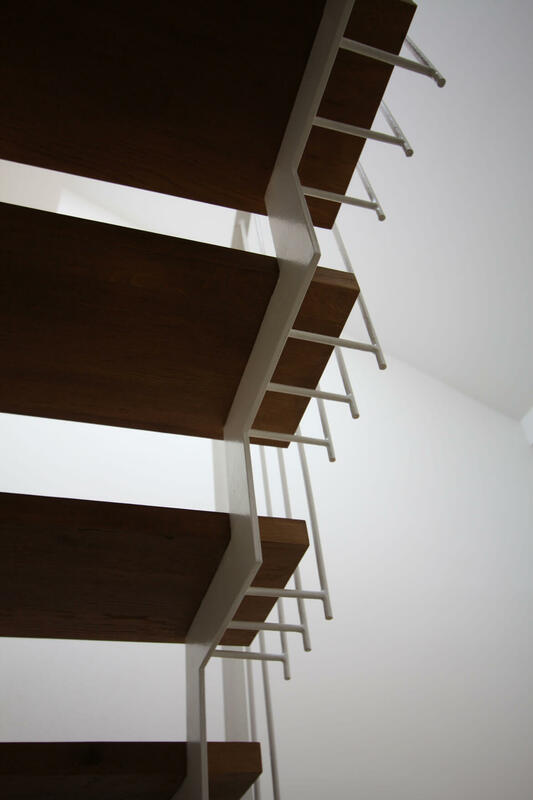 A new staircase was designed, connecting ground level and attic, with a lightweight, simple, clean design using white metal and wood.